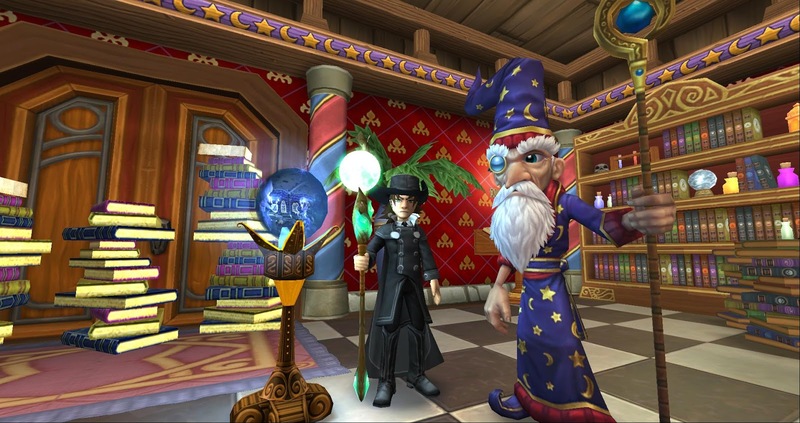 Around the Spiral with Edward Lifegem: Check Out New Wizard City! 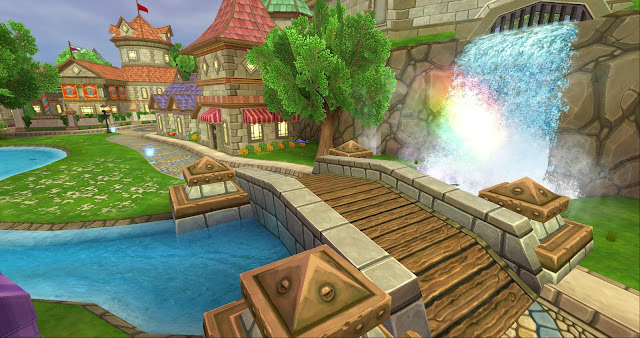 This morning, Kingsisle added all of the new updates from the Test Realm to the Live Realm. Many of you already know about all of the updates, but today I'm mostly going to focus on Photomancy and the new Wizard City Graphics! If you use the Z key on your keyboard, you can access a new feature called Photomancy. This awesome new feature allows you to take screenshots to the next level. If you're in a full realm and there are many people around, you have the option to hide other wizards (including your own). I took the picture above near the rainbow bridge in the Commons today during a very busy time! This feature will be such an amazing feature for events and blog posts. Now I never say Selfie, but today I will. The Selfie (Picture) option on Wizard101 is another part of Photomancy. You can take pictures of your character, or just NPCs, without worrying about other wizards getting in your shot. This will be such an amazing feature for blogging. We bloggers are sure Kingsisle was thinking about us when they were working on this feature! ;) The new Graphics and Photomancy are going to be very popular! I've already heard great reviews from people who were unable to access the Test Realm before. Here's to a new successful beginning. Picture with Wolf & Flint. 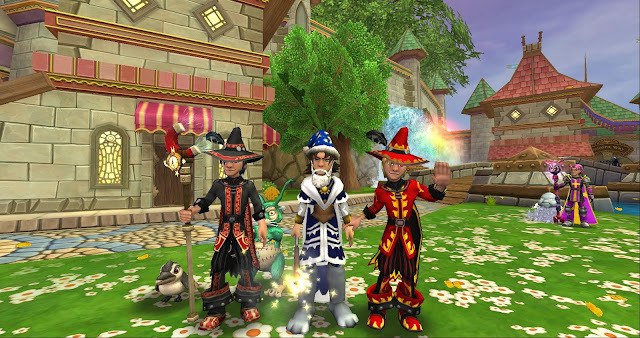 We hope to see you in New Wizard City sometime soon!